On January 20, we witnessed one of our nation’s greatest traditions: the peaceful transfer of power from one political party and President to another. While we sometimes take this for granted, it’s important to remember that what we saw in Washington, D.C. when our new president was sworn into office is extremely rare in the history of our world. And now that our new president and other elected leaders have taken their oaths of office, it’s time to start preparing your business for the changes that are surely coming. Shifting economic and political winds are upon us and many of the ensuing changes will require the attention of management and leadership. For example, your short- and long-term goals may require a new look at the capital structure in your company’s strategy. The uncertainty of tax rates, healthcare, regulations and interest rates will undoubtedly have an effect on your forecasts, budgets and strategic planning for this year and years to come. And you’ll need to revisit the type and amount of personnel, investments and capital allocations you’ll need going forward. While many CFOs believe that the new administration will improve the economy, there is uncertainty as to how it will impact their businesses specifically. For example, 58 percent of CFOs who responded to a survey conducted by CFO.com1 said they expect the U.S. economy to improve this year. But they were less confident about what this improvement will mean for their companies: Their expectations for 2017 revenue growth dropped to 3.7% last quarter from 4.2% the previous quarter — this was one of the lowest marks in six years. 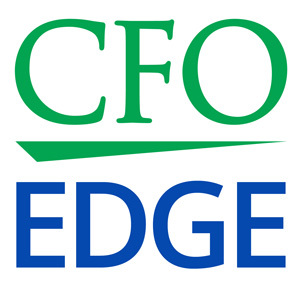 There is a broad expectation among CFOs for a stronger dollar, increased infrastructure spending, and a rise in labor costs and interest rates. For example, LIBOR — which is a key bank interest rate benchmark — has risen since the election, recently reaching 1%. And the Federal Reserve raised its benchmark Federal Funds rate in December while indicating that more rate hikes will probably be occurring this year. There’s no question that many issues are at play this year when it comes to business and the economy, but uncertainty is probably the word that describes the situation best. Therefore, staying informed about what is being discussed and what is enacted legislation-wise will go a long way toward helping ensure your company’s success this year and in the years to come. 1. Lowering the corporate income tax rate from 35% to 15%. 2. Allowing repatriation of offshore corporate profits at a 10% one-time tax rate. 3. Eliminating most business tax credits, with the research and development credit being a big exception. 4. Allowing expensing of capital investment while eliminating corporate interest expense deductions. 5. Providing tax benefits for businesses that offer on-site childcare and pay a portion of employees’ childcare costs. We’ll find out soon enough which of these proposals becomes law. But with Republican control of the White House and Congress, it’s almost certain that some kind of tax reform will pass in the near future — it’s just a matter of filling in the details. § Utilize rolling forecasts that give you more forecasting flexibility. § Maintain good bank relations by keeping your banker informed. § Review your lease obligations, especially for new assets put in place. § Be aware of how new tax structures will affect your shareholders and lenders. § Revisit tax considerations with regard to­ C and S Corporation and partnership status. § Review the current and future deductibility of business expenses. Now that our new President and other elected leaders have taken their oaths of office, it’s time to start preparing for the changes that are surely coming. The uncertainty of tax rates, healthcare, regulations and interest rates will undoubtedly have an effect on your business for years to come. An outsourced CFO services provider can help you plan business strategies in light of the uncertainty brought about by the shifting economic and political winds that are upon us.